Yayoi Kusama is an artistic genius. Her art is immersive and stimulating and truly a full body experience that is incomparable to any other. 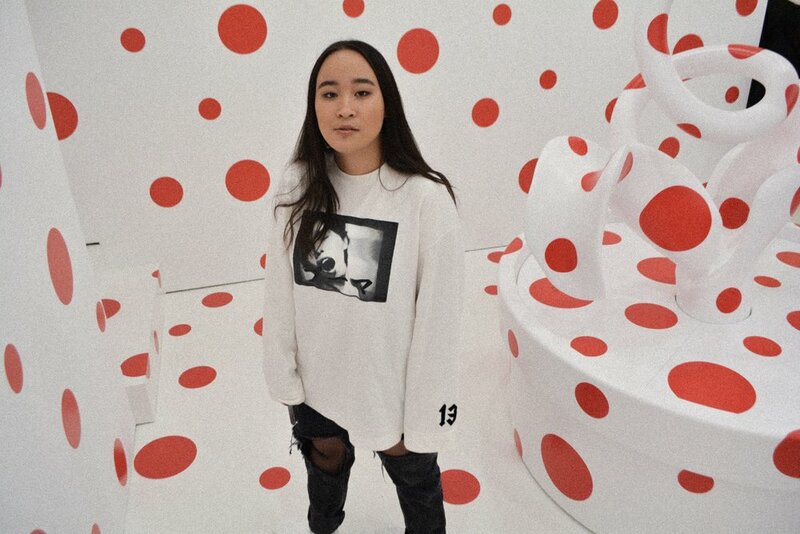 Yayoi Kusama: Festival of Life has graced the David Zwirner Gallery in New York City and has hailed hundreds to thousands of different people who wait in hour long lines just to get a glimpse of Kusama’s art and mind. The psychedelic and powerful patterns that is a constant theme in Yayoi Kusama’s work, is even more vibrant than what you see on the internet. Kiersten is wearing Fenty x Puma top, vintage jeans, and a vintage motorcycle jacket. Gabrielle is wearing Madewell Jeans, Urban Outfitter’s belt, and a vintage turtleneck sweater.